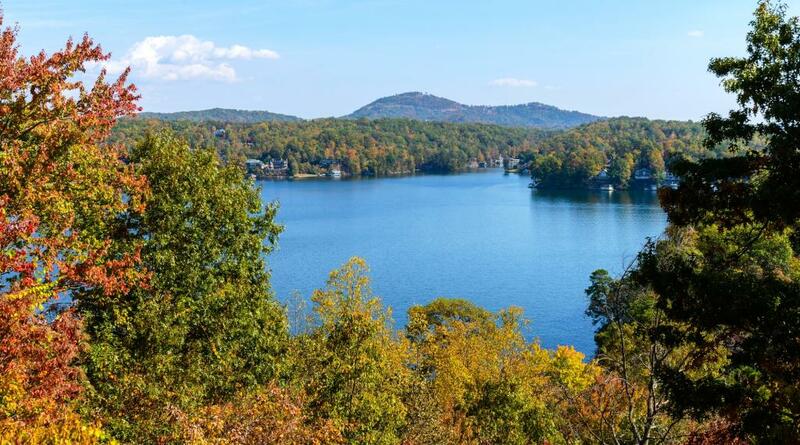 Gorgeous lake and mountain views, charming rustic décor, and convenient location make Laurel Ridge Retreat the perfect spot for a mountain getaway. 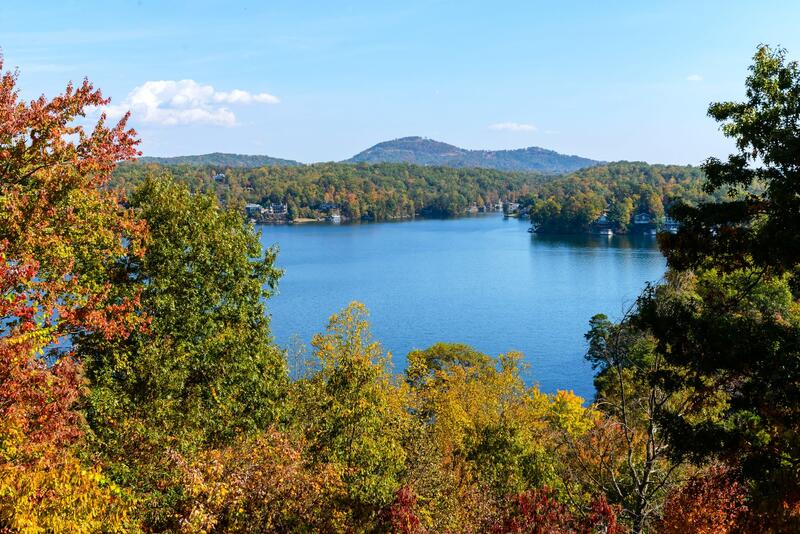 Imagine yourself waking up in the comfort of your own beautiful log cabin, stepping out of bed and onto a spacious deck where your day begins with a spectacular view of Lake Lure and the surrounding mountains. Imagine a cabin in a wooded setting, yet conveniently located to area attractions, leaving more time to relax and enjoy and less time spent driving. Imagine lazy afternoons watching the boats on the lake and sunset evenings around a wood burning fireplace with friends or family. Imagine yourself at Laurel Ridge Retreat. If you’ve never stayed in a log cabin, you’re in for a treat when you choose Laurel Ridge Retreat. With 3 levels of warm, wood-paneled rooms, guests will delight in the hand-carved log furniture and charming accessories that ensure the quaint, rustic atmosphere of a mountain setting. On the main floor are the living room, kitchen and dining room, as well as one bath and one bedroom with a queen sized log bed. Downstairs is a second bath with another bedroom with 2 twin beds. Upstairs is a spacious loft with a office nook, king bed and private balcony overlooking the lake.